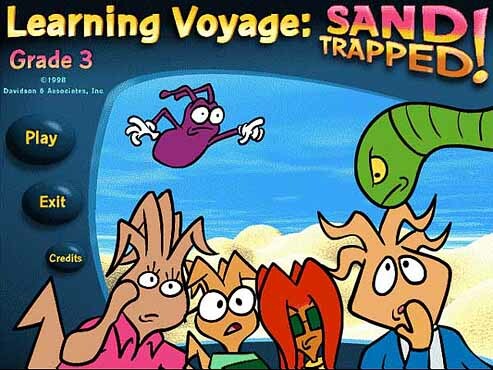 Splash screen from Learning Voyage: Sand Trapped! (Grade 3). 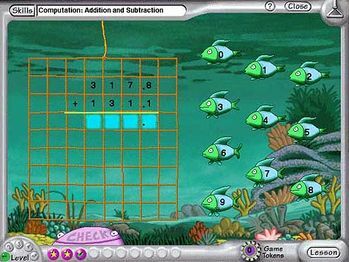 Davidson & Associates, Inc. was perhaps most well-known for their Math and Reading Blaster computer games. 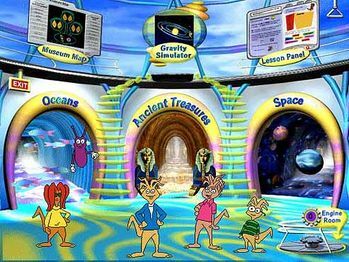 However, in 1998, a subsidiary of Davidson called Learningways, Inc. created an series of computer games called Learning Voyage. Davidson owned the trademark, copyright, and publishing rights, but credit has also been given to Learningways. 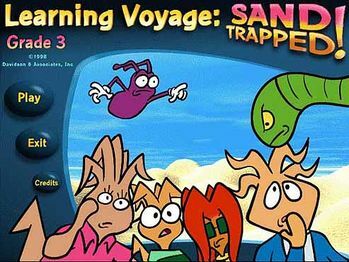 There were two games in the series: Learning Voyage: Sand Trapped! (Grade 3) and Learning Voyage: Swamped! (Grade 4). 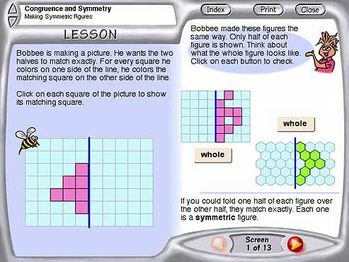 Some have also just called them Learning Voyage (Grade 3) and Learning Voyage (Grade 4). The games were also re-branded as Davidson's Learning Center Series 3rd Grade and Learning Center Series 4th Grade. 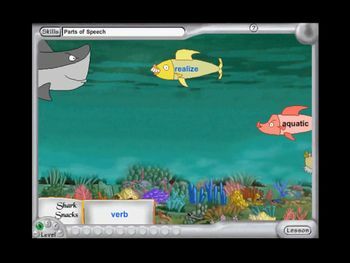 Information on the minigames found within the games can be found on the website for Classwell, one of the publishers of educational software suite Classworks Gold, which included the Learning Voyage games (the file names begin with "lv" and "lvr"). The PDFs also include monochrome screenshots. No copies have shown up on Amazon or eBay in their original releases, but the re-branded versions are common, usually going for a few dollars plus shipping on either site. On May 5th, 2016, Lingyan203 uploaded a video of Sand Trapped! to their YouTube channel. Other videos of the games have been uploaded as well, but no dumped ROMs of the games were known to exist. On March 26th, 2019, a dump of Swamped! for Mac computers was discovered to have been uploaded on the Macintosh Repository. On April 5th, 2019, it was discovered that .res files for a few Davidson games, including Sand Trapped!, were uploaded onto a forum back in 2017. On April 8th, LMW user TheDiscordDrummer extracted the RES files, and found Sand Trapped! on it. Splash screen from Sand Trapped! (Grade 3). Choosing how the monkey should dive. Choosing how to dunk the clown. 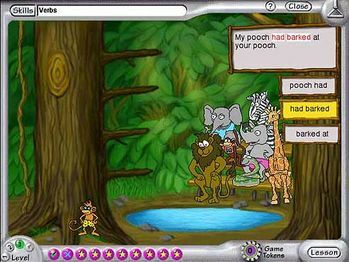 Lesson panel for "Busy Bees". 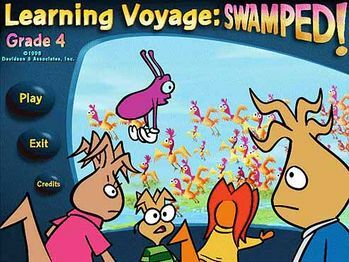 Splash screen from Swamped! (Grade 4). Museum lobby from Swamped! (Grade 4). One version of "Lucky Stars". Another version of "Lucky Stars".